CipherLab Welcomes Additional Distribution Partner in Australia - CipherLab Co., Ltd.
Taipei, Taiwan - January 9, 2014 - CipherLab, an established innovator in Automatic Identification and Data Capture (AIDC) is pleased to introduce the newest distribution partner in Australia. 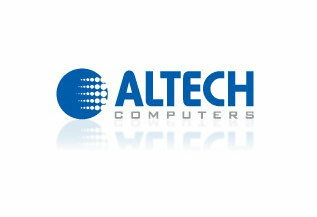 Our new distributor, Altech Computers is a successful and privately-owned Australian company that has been in operation since 1997. It is one of the Australia's largest distributors of computer components and pre-built systems and its headquarter is in Sydney and with 5 branches across Australia. With Altech working alongside our existing distributor, CipherLab Australia, we are confident that our first-rate local service will continue to grow and we look forward to working together in bringing in more future achievements. CipherLab Electronics Trading (Shanghai) Co., Ltd. Bearing the spirit of continuous improvement, professional knowledge and technology, we provide customers with products and services to their satisfaction. To comply with environmental laws and regulations, we require continuous waste reduction, develop low power consumption products, and engage in the implementation of environmental pollution prevention. Contents © 2018 CIPHERLAB Co., Ltd. All Rights Reserved.